We are always in the position of going for an effective combination of reputation and quality. One of our goals is to once a year, bring the big names to our regional market. By the same token, we also want the best “experimental treatment” to move the Central Coast Lean community forward. The Summit sets the tone for the coming year. We are going to try something a little different this year. Last year, we got feedback that folks wanted to spend more time talking and learning with their functional and industry counterparts. Therefore, we are doing two major keynote/speakers in the morning and in the afternoon we will be doing two large and small group facilitated breakouts: one by topic and one by function/industry Excellent morning speakers will get you thinking and will set the stage for rich, engaging conversations in the afternoon. Somehow we in the lean community have forgotten that Summits are for sharing, listening, and learning and not being talked at. I would like to recapture the concept of a Summit as a wayfinding experience for leadership in this part of the world. Central Coast Lean (CCL, Established in 2006) an action research and community outreach program in the Orfalea College of Business that seeks to build knowledge and understanding around building a local community of lean practice across business, education, nonprofit organizations and government. Lean practice is a philosophical and practical approach that endeavors to increase or maintain value while reducing operational waste through engaging teams in problem solving. We will take an expansive view of lean practice that includes a continuously expanding set of best practices including operational excellence, total quality management, six sigma, the Toyota Production System, Theory of Constraints and total productive maintenance to name but a few. 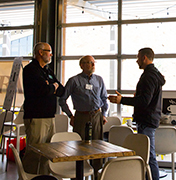 Create opportunities for lean leaders and practitioners in the Central Coast region of California to network and learn from each other’s experience. Spread lean thinking in and beyond the bounds of manufacturing to services, education, healthcare, government and non-profits. 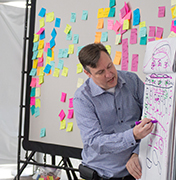 Create easy and effective ways for people to learn about lean and its potential to improve processes and organizations on the Central Coast. Action research involving local organizations. Benchmarking and surveys of lean practice. Central Coast Lean Leadership Forum: Meets about every other month typically for two hours. It is open to the public. 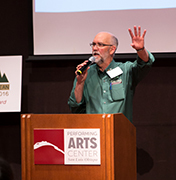 The forum includes networking, a presentation on a lean topic or organization, a discussion, and a round robin of other issues of concern to the participants. Kaizen Events: Targeted at improving specific processes or problems brought forward by organizations inside and outside Cal Poly. Strategic Planning and Strategy Deployment Workshops: These are partial, single, or multi day bounded workshops that help organizations develop and deploy effective strategies. A paradigm of “hoshin kanri” or lean strategy deployment is applied. Central Coast Lean Workshops: These are generally half to multi day events that occasionally supplement or replace the Forum in a particular month. Central Coast Lean Summit: This is an annual conference held in support of lean implementation on the Central Coast. Local and outside experts present and lead workshops. It is currently 1.5 days long. Other Activities: in line with the goals of Central Coast Lean.